Phrynosoma asio is a large, hardy species of Horned Lizard (HL) that does well in captivity. These are very sociable Horned Lizards, interacting to each other with head bobs, arm waves, and tail wags. Phrynosoma asio lack the sleek, tubular body shape of most lizards. Instead, they have a wide, flattened form which is well adapted for camouflage and their burrowing habits. Horned lizards are noticeably spiny, with a crown of horns adorning the back of their heads and various spines on their bodies. The most advisable terrarium to use when housing a Phrynosoma is glass which provides medium-high ventilation. This allows us to maintain both a good temperature and good ventilation. A terrarium made of PVC can also glass would be the preferred choice considering its properties. The terrarium should be longer and wider than it is tall, 1.5 x 0.6 x 0.4 meters (5 x 2 x 1.3 feet) for example. As the Phrynosoma is an active animal it is advisable to use a large tank in order for them to move freely, as well as making sure that the terrarium contains a cool area amongst its hotter zone in order for the animal to be able to go through thermoregulation. Phrynosoma tend not to hide in very deep shelters, they usually rest on branches, or make a small bed between rocks and sand, so a cave or shelter is not necessary as used for Australian geckos and leopard geckos. The substrate should consist of a mixture of fine sand and earth, with a layer of about 0.05 meters (0.16 feet). It is also important to place various sized rocks and branches in the terrarium in order for the animal to be able to seek refuge and climb. t is important to maintain the Phrynosoma in an environment close to its natural one, so therefore the lighting must be intense and of high quality similar to their own habitat. We recommend using HID (metal halide) bulbs, which provide a high amount of UVB and a substantial temperature. A flat stone or rock should be placed under the hot spot in order for the animal to be heated well. A minimum of 8-10 hours a day of light is needed between the months of January-April which then needs to increase to 12-14 hours a day between May-October. The temperature of the hot spot should be approximately 45-50 °C (113-123 °F) making sure that the ambient temperature of the terrarium is always kept at a minimum of 18-25 °C (65-77 °F). If you are able to expose the Phrynosoma to natural sunlight, with the confidence that they cannot escape, and have shaded areas, it is a good opportunity to do so as the natural sunlight is extremely beneficial for both their organism and metabolism. Phrynosoma will gain much of the water they need from their food, but as we have pointed out earlier it is desirable to spray them twice a week in summer, and a couple of times per month in the winter to obtain the required amount of water needed. 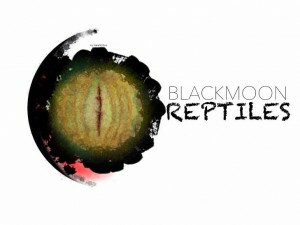 As in almost all reptiles, it is advisable to give access to the animal a shallow bowl with clean fresh water daily. Between the months of May to October it is important to frequently spraying the terrarium a minimum of twice a week. You should hit 60-70% humidity and between spraying let the enclosure to get almost dry. With this way you are replicating the raining season. We can also spray the skin of animal as they are able to absorb the moisture through their skin and they can also drink this excess moisture when water is poured onto them. Between the months of October to April it is only necessary to spray the terrarium once or twice a month. We must pay special attention when it comes to food as these animals feed on ants in their natural habitat making up 30% of their diet. In captivity it is not necessary to provide ants, since there are now several commercial products made specifically to supplement the lack of formic acid. Whilst giving substitutes of formic acid, we can include ants as well as other insects in their diet safely which are available in most reptile stores. 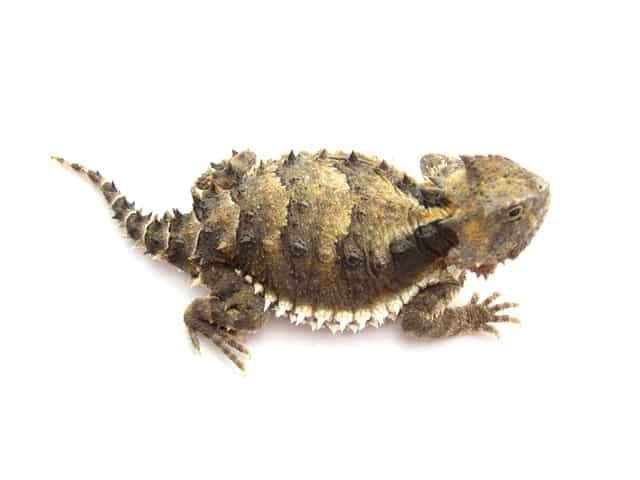 It is advisable to add a variety to the diet so that the Phrynosoma get used to all kinds of insects, such as crickets and cockroaches, even worms honey and locusts. It is important to add in addition to live feed various fruits, pollen, spirulina and anything that can bring more nutrients to the Phrynosoma’s diet. Phrynosoma will feed on the daily maximum allowance when there is variation. It is important to provide supplements twice a week with a mixture of calcium and minerals, and if possible once every 15 days with a specific formic acid supplement. As in most reptiles, these animals do not like to be handled at all times but they can handled occasionally. The Phrynosoma is not an aggressive animal with humans so they can be handled well as long as done so with care for the animal. Terrarium cleaning must take place once or twice per week, as these animals are quite voracious therefore generate a large amount of excrement, which must be removed frequently. Excrement can easily be removed with a strainer and the sand will remain clean. It is recommended to change the substrate approximately every 4 months if using this method of cleaning. In the case of shedding, like almost all desert reptiles, the process will last between 2 and 3 days. The substrate and the internal decoration of the terrarium will help the shedding process of the animal as they can use this to pulverize the outer layers, whereas the humidity will help soften the skin. No specific potential health problems to mention for this species beyond those affecting reptiles in general. They seem to be a relatively hardy animal when kept properly.